Wednesday, Thursday, Friday, Saturday 10:00 p.m. to 4 a.m. Dress codes enforced, no hats or tennis shoes. Wednesday night is local night. Though many are more familiar with the well known acronym of LAX as being the symbol the Las Angeles airport there are those more keen on a more exciting LAX. Within the Egyptian themed walls of the Luxor Resort and Casino is a nightclub that resembles everything that Las Vegas' nightlife stands for. 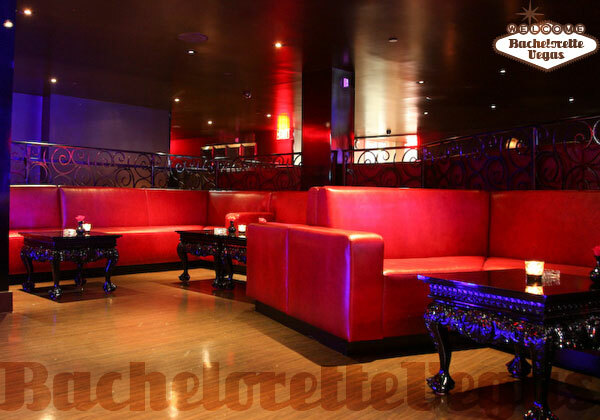 When you're in Sin City celebrating your bachelorette party, you can take solace in knowing that clubs like LAX exist with the sole intention of providing you with a high level of entertainment and an amazing experience for your special day. Being your bachelorette party, you should be entitled to some things that most others can't even touch. 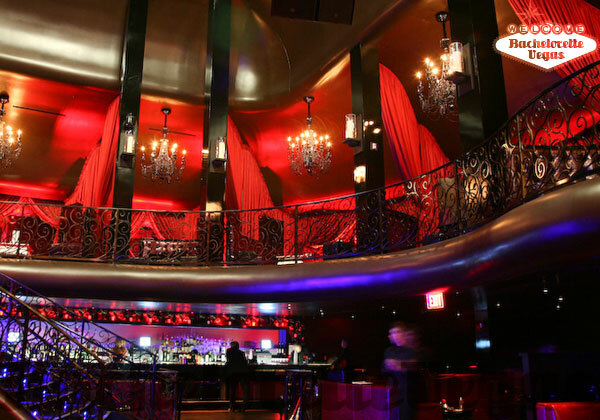 If you can spring for a VIP booth within the club, you'll also find yourself on the receiving end of LAX's premium bottle service and receiving VIP entry into the club, bypassing the line at the door without issue. Knock back a few fine and refreshing liquors before taking your party to the expansive dance floor that rests at the base of an elegant grand staircase. Though you may think your VIP status wears off the moment you leave the comfort of your booth, you'll be surprised to find that some have taken notice to your status and are well aware that you're celebrating your bachelorette party - so expect to receive several rounds of free beverages from the pleasant and friendly strangers at LAX. LAX is an opulent nightclub that does the resort it resides in justice. 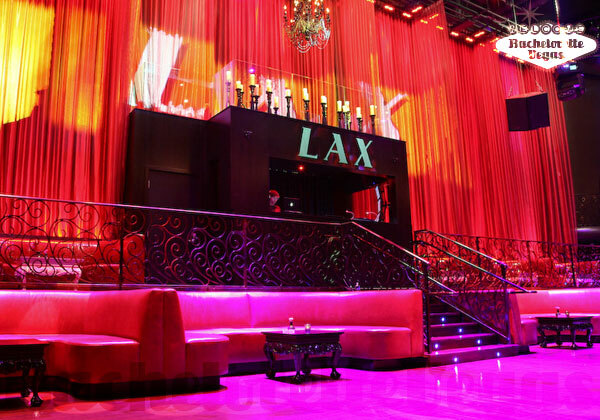 From the wrought-iron doors that make up the club's entrance to the decor of mirrors and chandeliers that give the club a certain glow, LAX is amongst the nicest venues you'll step into on the Strip. While the space may not seem that large to begin with - mostly due in part to the large crowd that makes up LAX's patrons - a second story provides an extension to the exciting nightclub space. Speaking of the second story, if you're looking to get away from the crowd, you can head upstairs without leaving the party atmosphere behind. 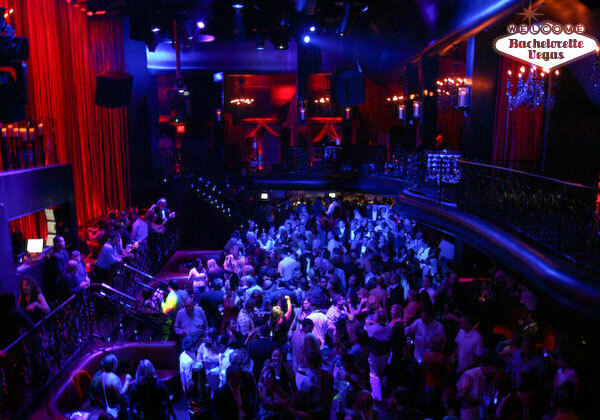 This balcony-styled floor overlooks the party below, giving you a birds' eye view of the dance floor and DJ booth. If the free drinks stop pouring in, you can head over to one of the club's two bars which come stocked with top shelf liquors, wines, beers, and the best mixed drinks in town. As your party is bound to last all night, you'll want to get a good repertoire with those that hang around the bar if you're looking for free celebratory beverages. If you're going to celebrate your last night as an unmarried gal in Vegas, than you need to do it right. With Luxor's LAX, you'll get the best of Sin City's opulence while also find yourself in the midst of one of the biggest club parties in the nation. If you're lucky, you may also spot one of LAX's frequent celebrity guests.